Balarishtam is an Ayurvedic fermented product .Balarishtam, Balarishta, Bala Arishtam, etc are the commonly used synonyms. Bala is Sida cordifolia is one of the major content of this fermented product. Arishta is the special pharma preparation of Ayurveda and it’s very potent and manages all arthritic ailments along with neurologic disorders. Each 10ml is prepared of decoction of Sida cordifolia 1.12g, Withania somnifera 1.12 and powders of Ricinus communis .09g, Holostemma adakodien 0.045g, Alpina galanga 0.023g, Eleteria cardamomum .023g, Paedaria foetida .045g, Syzygium aromaticum .023g, Vetiveria zizanioides .023g, Mucuna pruriens .023g, Jaggery 6.77g, Woodfordia fruticosa .38g. Arishtas and Asavas are classical fermented formulations in the traditional Ayurveda medical system. They are alcoholic medicines prepared by fermenting herbal juices or their decoctions with the addition of sugar or jaggery and dhataki flowers. ( Woodfordia fruticosa). Many formulations contain additonal spices for improving their assimilation. They contain alcohol up to 12 % and sweet in nature, acidic with good taste and smell. The major advantages of these are longer shelf life, enhanced therapeutic properties, increased bio availability of drug molecules and imporved drug delivery to the action of sites of diseases in human bodies.The most cited traditional literature about arishta and asava includes Charaka Samhita, Sushruta Samhita, Astanga Hridaya,Ashtangasangraham Bhaishajya Ratnavali,SharngadharaSamhita,Gadhanigragam,Sahasrayogam,Yogaratnagaram and Asavarishtasamgraham . What are the indications of Balarishta? Balarishta is indicated for all type of arthritis; it improves the general vitality of the body, increases digestion and rejuvenates body tissues. Is there any contraindication for Balarishta? Balarishta is contraindicated in Diabetes. What is dosage of Balarishtam? Is there any other indications of Balarishta not in the classical citations? Balarishta is a good vehicle for several qwaths and tablets. It increases the efficacy of obesity medicines, hormone regulators and memory boosters. Our chief Dr Rajesh Nair has written a blog on this and can read here. Which are most popular brands of Balarishtam? Arya Vaidyasala Kottakkal, Vaidyaratnam Oushadhasala, AVP Coimbatore, Kerala Ayurveda are the popular brands of Balarishta. We pack Balarishta in discrete pack with double layer protection to avoid brekage and leaking and will be shipped on the very next day of the order. Depending on the mode of shipping selected, you will receive the product in 10- 20 working days. How can we contact you after purchase? All our customers can write to us ( info@ayurvedaforall.com ) and will get reply in 24 hrs. You can also call using Skype or use Live Chat enabled here. – Rajanighantu Rajanighantu describes this herb as extremely bitter (atitikta) and madhura in guna , and it balances deranged pitta. 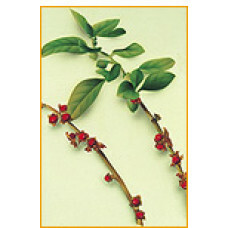 It is used to treat diarrhoea and is rejuvenative and nutritive. It is also efficacious in diseases caused by vitated kapha. The rejuvenating action of this herb extends to the nervous, circulatory, and urinary systems. It has a diuretic effect and is useful in urinary problems, including cystitis. Being cooling and astringent, it is used in inflammations and bleeding disorders also. Ashwagandha contains many useful medicinal chemicals, including alkaloids, choline, fatty acids, amino acids ,withanolides, (steroidal lactones) and a variety of carbohydrates and sugars. While the leaves and fruit have valuable therapeutic properties, the root of the ashwagandha plant is the part most commonly used in Ayurvedic medicines. Several researches were conducted on the pharmacological activities of Ashwagandha and have confirmed this herb has following actions. reduces anxiety and depression without causing drowsiness and other side effects. Saribasavam Ref: Sahasrayogam Indications: Diabetes, rheumatoid arthritis, Fistula. Dose 15- 30 ml t..
Punarnavasavam Ref: Sahasrayogam Indications: Edema, anaemia, dyspepsia, indigestion, dropsy. Dose 1..
Aswagandharishtam Ref: Sahasrayogam Useful in nervous and general debility, epilepsy, mania, memory ..